Who knew? 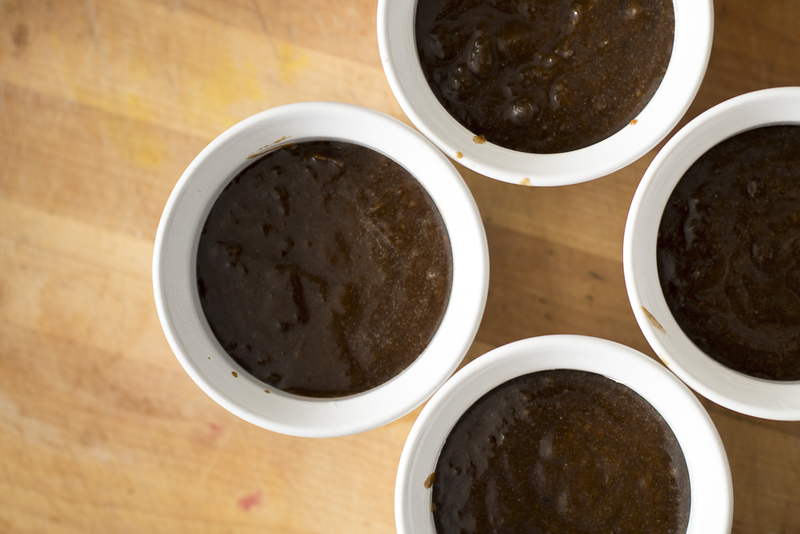 There are a surprising number of restaurants in BC with sticky toffee pudding on their menus. I discovered this because my job requires me to travel throughout the province, and at times I find myself eating out a lot. Fortunately, I have amazing colleagues that are great dining companions. One in particular has a serious soft spot for sticky toffee pudding and I swear he must scope out the places that have this on their menus because, without fail, it always makes an appearance at our table at least once per trip. A classic British dessert, sticky toffee pudding is about as comforting as you can get at this time of year. A good one is moist and has depth to its sweetness. 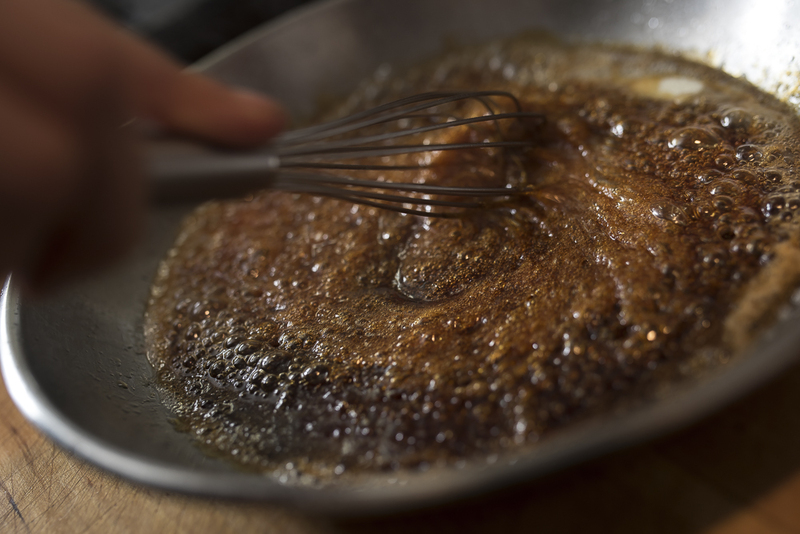 Its layers of flavour come from the natural sugars of dates, molasses and, in this case, a little maple syrup. 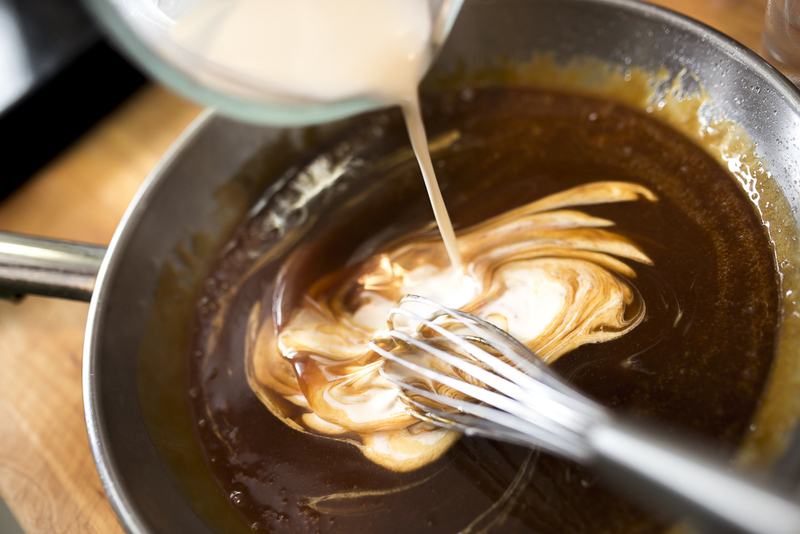 Topped with warm caramel sauce this will satisfy the biggest of dessert lovers. The recipe here is my go-to and comes from Earth to Table, by Jeff Crump and Bettina Schormann (executive chef and pastry chef, respectively) of Ontario’s Old Ancaster Mill restaurant. I discovered this book on my Aunt Wendy’s bookshelf a few years ago while over at her place for Christmas brunch. While there are a lot of books categorized by season (several in my own collection) this one is unique in its own way. It discusses practices like forging and composting; profiles famous chefs, including the likes of Thomas Keller, who also cook seasonally; and indicates which ingredients are “worth the food miles” (vanilla, citrus, and a few others). In season in Vancouver at this time of year are BC-grown hazelnuts. In dedication to this seasonal book I topped the dessert with a generous handful, chopped and roasted. Like so many things, when you taste a seasonally fresh local hazelnut it’s like tasting it for the first time. 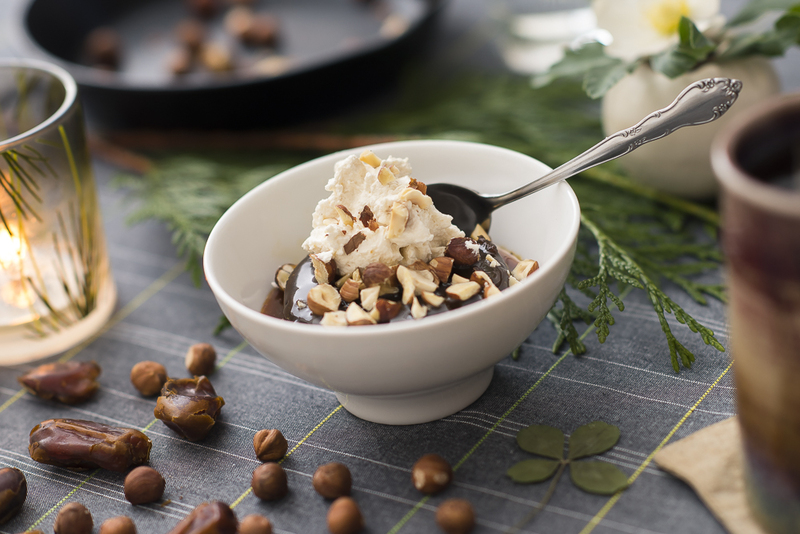 I find the hazelnuts work well with whisky in the caramel sauce (recipe below) but pecans would be excellent too. 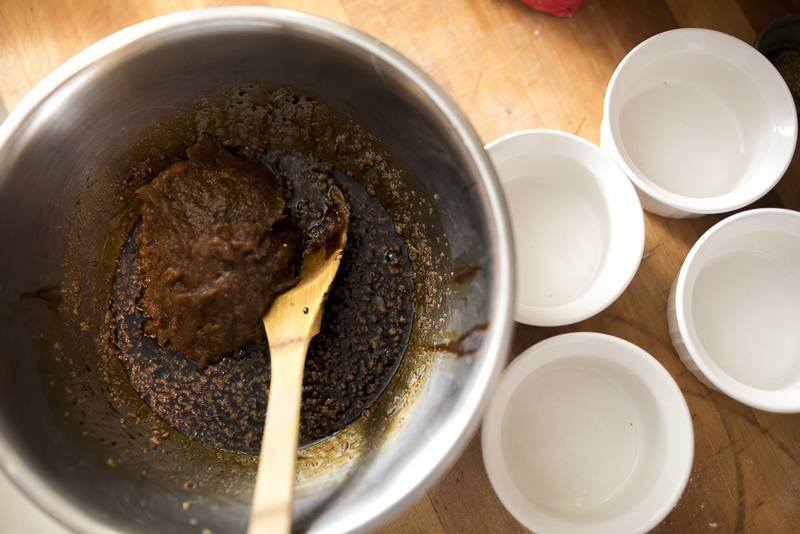 I especially love making sticky toffee pudding because for the minimal prep time that goes into it, the payoff is huge. Served to guests, it is an impressive dessert, especially if you make your own caramel. It can be pricey to make, as Medjool dates aren’t cheap, though I have made this with regular pitted baking dates and the results are still crowd-pleasing. Feel free to save the Medjools for only really special occasions (because, trust me, you’ll find yourself making this whether you’re entertaining guests or not). *I prefer Wholesome Sweetener Molasses for all my cooking (sweet and savoury). It is excellent quality and provides a distinctly rich flavour, without being overpowering. 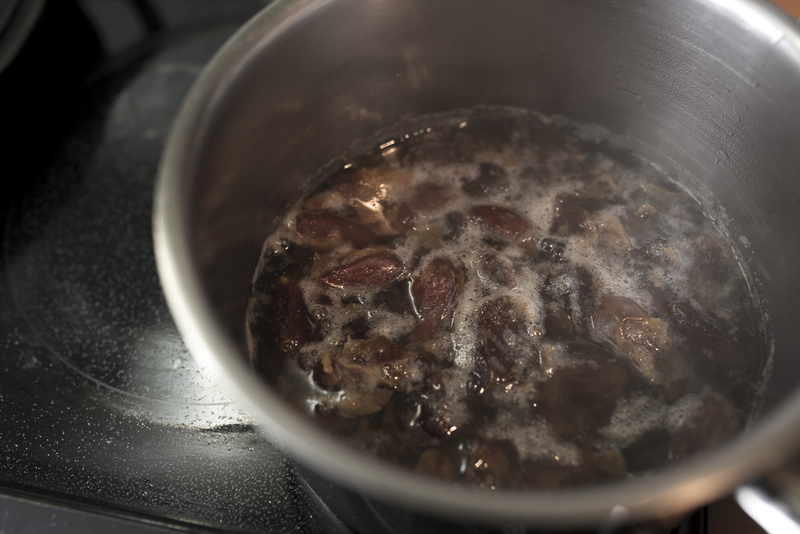 Combine dates and water in a medium saucepan. Bring to a boil over high heat, then reduce and simmer for 20-30 minutes, until liquid has almost entirely evaporated. 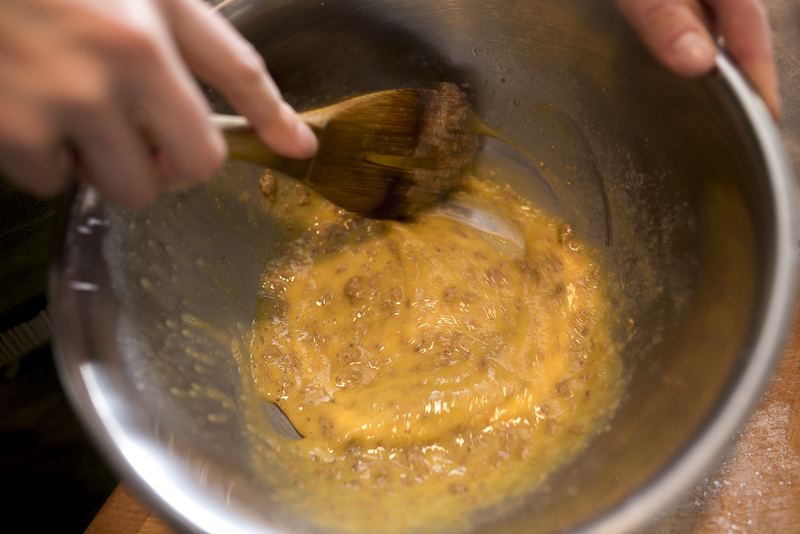 Stir in baking soda and puree dates, either in a food processor or using an immersion blender (a few chunks are OK). Preheat oven to 325°F. Butter a large six-cup muffin tin, or six one-cup ramekins. Set aside. In a medium bowl, cream sugar and butter. Beat in eggs, molasses, syrup and vanilla until combined. Stir in flour, baking powder, and salt. Fold in date puree. Divide evenly among prepared cups/ramekins. Bake in the oven about 35 minutes, until tops lightly spring back when touched. Let rest 5 minutes before serving. 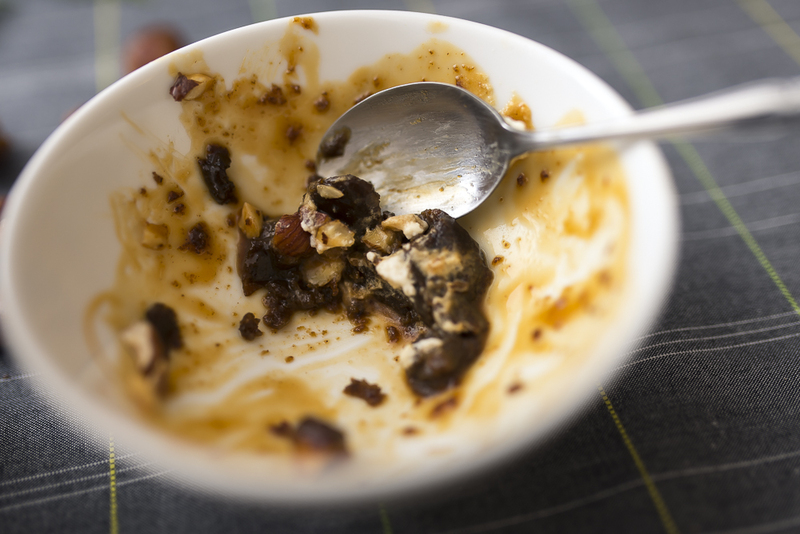 Serve with chopped nuts of your choice, whiskey caramel sauce, and whipped cream OR vanilla ice cream OR crème fraîche. In a large pan combine sugar, water, and lemon juice. Do not stir. Bring to a boil over medium-high heat letting it boil about 20 minutes. 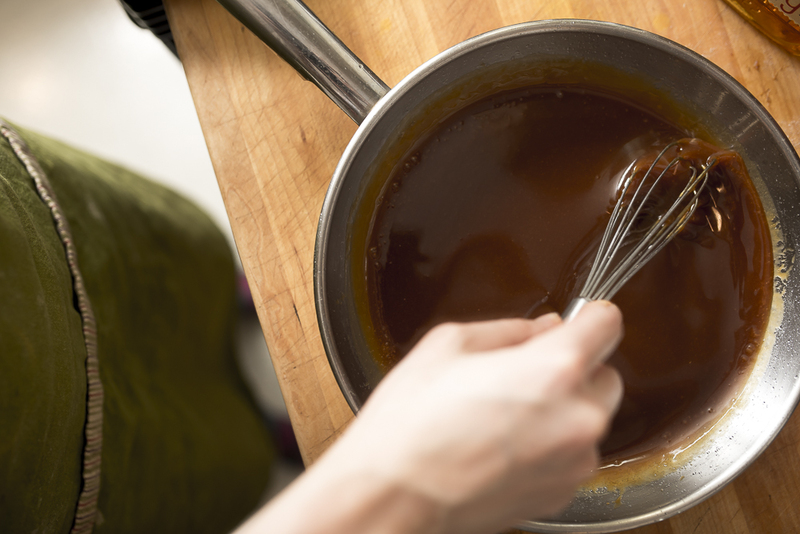 The sugar will dissolve naturally, and will result in a smooth (not crystallized) sauce if you avoid stirring. When mixture begins to change colour, watch carefully. When a deep red-brown is achieved remove pan from heat and separately whisk in butter, cream, and whiskey. 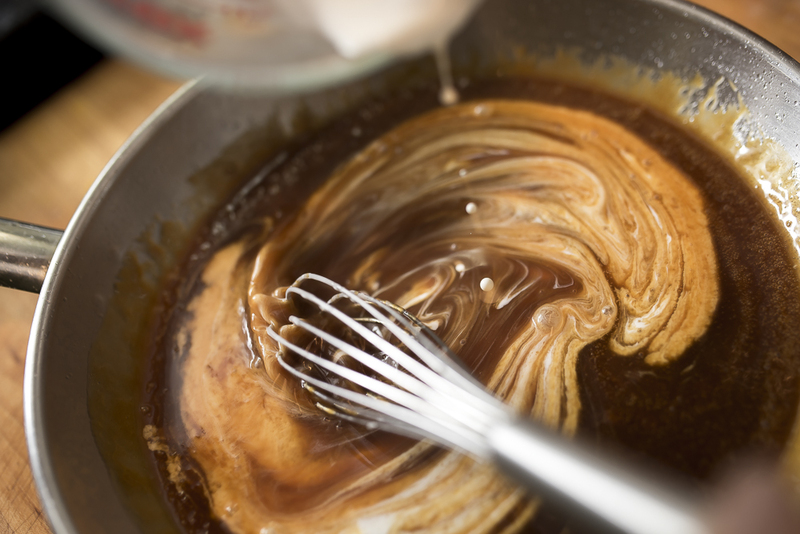 Finally whisk in a pinch of salt (or a bit more, to taste, if you want a salted caramel sauce). Be careful, as the sauce will be very hot. Cool and re-warm slightly before serving. Store leftovers in a jar in the fridge. Thank you. We respect your privacy. Thank you! We respect your privacy and will not share your email address. Four Amongst Three is dedicated sharing food knowledge through stories, while shedding light on issues in food security. Based in Vancouver, British Columbia, recipes feature locally sourced, sustainable ingredients. Enter your email address below to receive Four Amongst Three blog posts directly to your inbox.